One of the best ways to stay healthy is to use regular preventative care services so you can catch and cure illnesses before they get too bad. So when you need quality primary care in Palm Springs, California, you can count on the physicians of the Desert Care Network to offer the solutions that boost your overall wellness. Our doctors provide a safe, friendly environment, focusing on the needs of each patient. Do you need a primary health care provider for yourself and your children? Our large network of doctors is here to help. We offer many family medical services that are available to patients of any age. Our children’s primary care physician has years of experience working with kids and knows how to put them—and their parents—at ease. 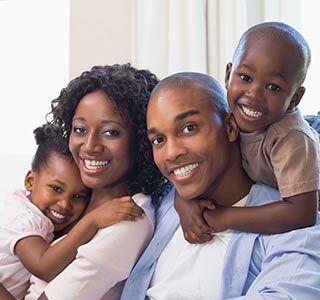 Because our medical network is filled with experienced, well-qualified PCPs, you can have peace of mind knowing any primary doctor affiliated with us will give your family the quality medical services you deserve. Trust our doctors for your primary care solutions. Because we believe medical care should be both high-quality and convenient, we have many trained and experienced doctors and several locations available for you to choose from. Our doctors are focused on your individual needs and are dedicated to accurately diagnosing and treating any potential illnesses or diseases. Visit us for annual checkups or whenever you notice any unusual symptoms. Call 760-410-8666 today to book an appointment, find detailed provider information, office locations, hours, and more, or you may complete the form to the right. Contact us today by calling 760-410-8666 in order to learn more about our primary care services. We proudly treat patients in and around Palm Springs, California.